LIKE MOST OF AMERICA, Joy Brunson watched This Is Us and instantly fell in love with the critically acclaimed, notoriously tear-jerking NBC drama. Unlike most of America, she was cast in a recurring guest role for its second season. Brunson, a 29-year-old actor who grew up in northwest Houston, plays Shauna, the troubled young mother of 12-year-old Deja (Lyric Ross), who’s fostered by a protagonist, Randall, played by Sterling K. Brown. After Brown won an Emmy, the This Is Us cast and crew popped champagne on set to celebrate. That was Brunson’s first day. She was shocked to nail the role that would effectively become her big break. A grueling audition process had her up against established, capable actors–some who already had their own shows, she says–and required hours and hours of rehearsing emotionally draining scenes. Viewers first meet Brunson’s character in prison. Her arc is a gripping one that spurred enough viewer response to compel This Is Us writers—who compose the show as it goes, unlike other front-loaded series—to keep Brunson on. She’s unsure what season three will hold, though producers have said they want to see more of her character. 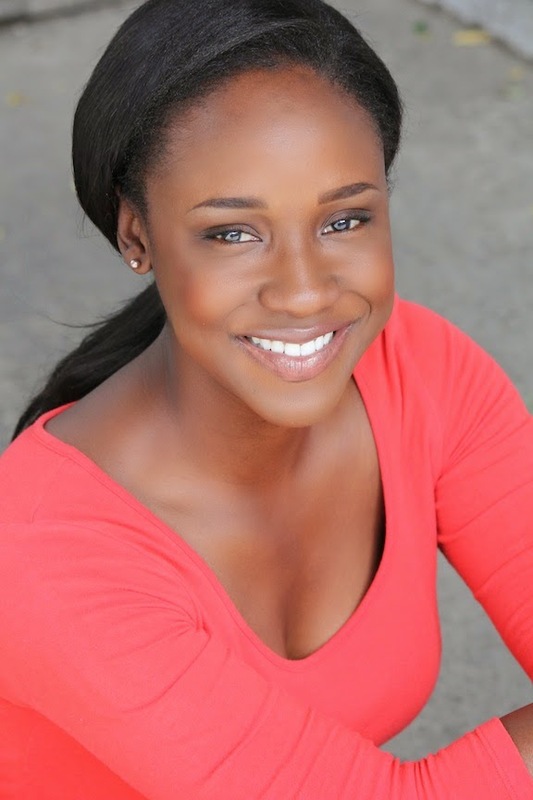 Fans can see more of Brunson this summer on FX when she stars in another recurring role on Snowfall, a crime drama about the start of the crack cocaine epidemic in ’80s L.A. Ironically, Brunson’s character, a social worker, is one that Shauna could have used on This Is Us. Brunson’s also wrapped filming on a movie called Broken Ghost set for release later this year. This month, she came home to visit her parents in Copperfield, judge Houston’s National Black Film Festival, and teach her first acting intensive workshop—a full-circle moment for the kid who fell in love with the stage at A.D. Players’ summer theater programs. She sat down with Houstonia at EQ Heights to reflect on her journey from Houston to Hollywood. What’s it like to work with such a big-name cast on This Is Us? It’s been amazing. Going into any set, especially when you don’t start with the show, it’s intimidating because they’re a family. Most people are professional, but not everyone is kind; these people were kind. Even in the trailer–I think one of the first people I actually met was Milo [Ventimiglia, who plays Jack]. My acting teacher cast Gilmore Girls, so we always talk about that … he was so nice. He not only introduced himself, he had a whole conversation, and I was like, you care about me? Then I met Mandy Moore [who plays Rebecca]; I was like, I grew up on you! Literally, I didn’t speak the first time because I was in shock. I think I met her after I had already done one or two episodes, so she was complimenting me … she was so nice. And then obviously Sterling … everything good people say about him is true. He cares about people, but he also really cares about the craft. That was the thing that helped me calm down when we did our scene, because I was like, you know what, this guy doesn’t want me to fail. He’s not just in it for himself; I really felt that he wanted this to go well, whether it was me or whoever, and that was really helpful. After we shot my very first scene with him, which was super draining, he came and gave me this huge hug. … He was awesome. And the kids are great, too. What are some of the most important issues the show has raised? The first few times that we saw my character, Shauna, it was confrontation. She was upset, she was trying to get her child, she was in jail. It was not happy times. But we see that story often, so I was really grateful that they brought her back and expanded her story and humanized her. Although I know people like Shauna, a lot of people who watch may have not known that much about this type of woman. Even if you don’t agree with her, you’re like, oh, she is trying. She does care. I was really grateful about that. I volunteer at the Covenant House in Los Angeles, and talking to those girls, I got a lot of inspiration. It becomes so real, and you just want to fight for these women … you want them to do well. I think it was really, really important to expand the understanding of what it’s like to be a single, black mother in America who is doing her best. What’s your process like as an actor to inhabit your character? It depends; every character’s different. For [Shauna], when I first started, she was in jail, so I watched a lot of documentaries about women behind bars and the mentality of that … the personality, the quirks, how did you get there? For a lot of women, it boiled down to their children or their partner: They stole and killed for the person they were with, or they were trying to protect their child, and that was really interesting to me. You get a lot of text and you don’t necessarily have time to do all of that sometimes, so for me I had to take it scene by scene and be like, where is she now, what does she need? This last one was so emotionally draining that I just had to stay focused on where I was, because if I started thinking about myself I would get pulled out of it. Do you see similarities between yourself and Shauna? I do, and I’m the kind of actor that I always feel like there’s a part of you in the character. Some people don’t like that; some people completely want to dissociate, but I think even in there there’s some connection. I don’t have a child, but I do know what it’s like to fight for something that I really care about, and I do know that if I lost those things how devastated I would be. That was the approach that I came from within. She’s a hustler, I’m a hustler. She’s doing what she has to do to make ends meet. How have fans reacted to your character? It’s been interesting. When people see me in real life … It’s always been love, face to face. But internet? It’s been, why did you leave her? What are you doing? You need to get this together! And I’m like, you guys know that it’s not me, right? As everyone says, you have to learn to not read those things or to not take it personally, but at the same time I was like, maybe that means I did it right. … Everyone fell so in love with Deja–the girl who plays Deja, Lyric Ross, she’s amazing, she’s absolutely amazing, so I get it. You can hate me. It’s fine. What’s it like in Hollywood in the midst of Time’s Up and the #MeToo movement? I feel like we’re moving through and trying to find our way … but I’m excited to see how we come out of it. We went from not talking about it to now everyone’s talking about it. You do see a shift in Hollywood. It’s exciting, because I have more female directors now … you have more female show-runners, and with them comes more diversity, just point-blank period. … Recently I went in for a show, it was a black part, she was an activist, and you walk in the room and there’s nothing but Caucasian people looking at you. To their credit … they were up front about it, so that’s great, but still we were like, let’s diversify it. Great that we have this character, now let’s diversify the producing. It’s happening. It’s interesting to watch it. Now there’s more female studio heads, too, which is exciting. It’s really cool to be a part of this right now. It’s your first time back home in almost a year. What do you miss about Houston? There’s just no genuine Tex-Mex in California—specifically queso. Listen, I love California, but I have been on a hunt. There’s one place in Hollywood that does a Spanish queso, it’s the closest thing, but I just want to bathe in it. Irma’s does a chile con queso; white’s my favorite. [Irma] lived in our neighborhood growing up … she was the first person to put my headshot on her wall. You’re now in Emmy consideration for guest actress in a drama series. What’s it like to finally get your big break? It’s been surreal. This Is Us truly changed my life, and that’s what I told [creator] Dan Fogelman … I’ve been working hard, I’ve been studying, and that’s all well and good, but until someone believes in you and gives you a chance, you’re just another great actor somewhere. I’m so grateful.